There were three debates this week – two of which included current Mayor John Tory taking on Jennifer Keesmaat and a range of challenges, and one that Tory didn’t even attend. So how’d the candidates do? Let’s look at some of the winners and losers from the first debates. 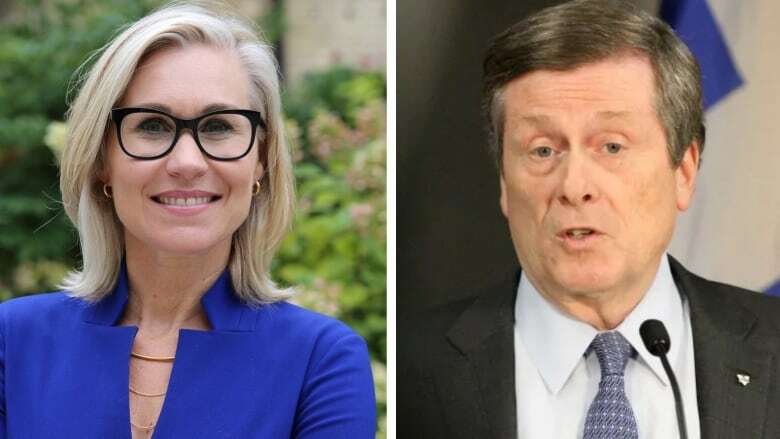 Former chief city planner Jennifer Keesmaat and incumbent mayor John Tory are both running for mayor in the 2018 municipal election. Now that the legal drama surrounding Toronto's municipal election is over (for now), the city's mayoral race is kicking into high gear. 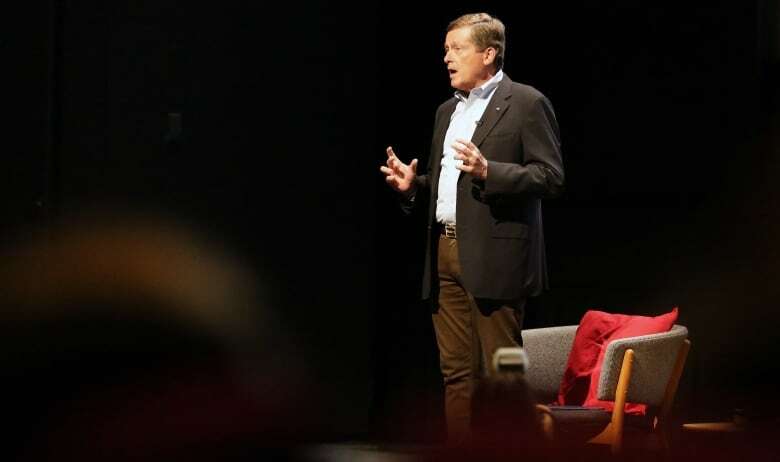 There were three debates this week – two of which included current Mayor John Tory taking on Jennifer Keesmaat and a range of challenges, and one that Tory didn't even attend. The events, touching on the arts, public safety and transit, marked the first real opportunity for candidates to talk issues in front of an engaged audience. So how'd the candidates do? Let's look at some of the winners and losers from the first debates. Make no bones about it: these debates should be one-on-one contests between Tory and Keesmaat, with no other candidates on stage. 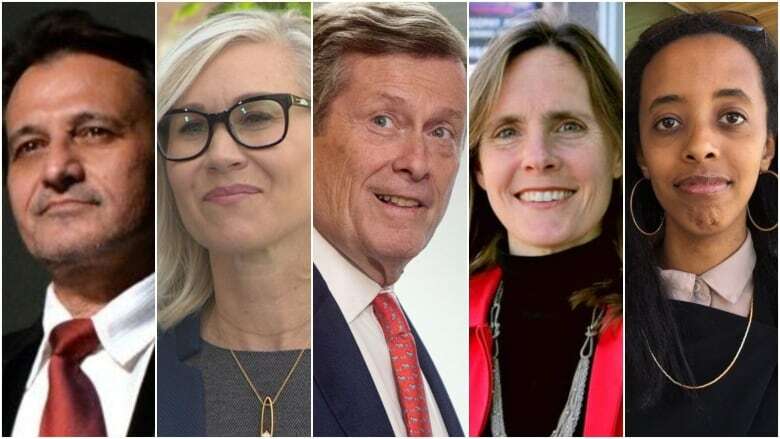 That's not to throw shade at candidates like Saron Gebresellassi or Sarah Climenhaga, but with less than a month before the election day on Oct. 22, Keesmaat is the only challenger to Tory with anything resembling significant support in opinion polls. Cold electoral calculus says she's the only one with even a glimmer of a chance. But Tory has thus far avoided debating Keesmaat one-on-one, saying repeatedly that debates with more candidates are more representative of "local democracy." Whatever you think of that sentiment, Tory's push for multi-candidate debate is also proving to be a canny — if cynical — piece of political strategy. It makes it harder for Keesmaat to keep him on the defensive, while also forcing Keesmaat to play defence against charges from the other candidates on stage. 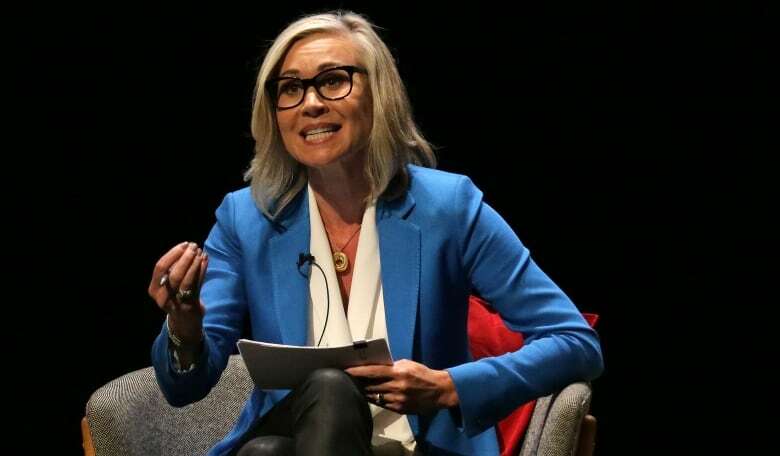 At the ArtsVote debate on Monday, Keesmaat appeared to come into the debate with a strategy that focused primarily on criticizing the mayor's SmartTrack transit plan. But with Gebresellassi, Climenhaga and Gautam Nath sharing the stage, she came off like someone who kept trying to change the subject while everyone else was talking about arts funding. Keesmaat also wasn't helped by constant hedging when posed questions about her platform. At the debate Tuesday hosted by Global News, Gebresellassi kept posing pretty simple and direct questions to Keesmaat, but wasn't getting simple or direct responses. Would she reverse Tory's plan to hire 200 more police officers? Keesmaat hedged, saying only that Tory's "top down approach" wouldn't work. Would she endorse a plan to eliminate all fares on the TTC, like Gebresellassi is proposing? Keesmaat hedged here too, before calling it a "wonderful dream" but not part of her transit plan. Keesmaat also seems hamstrung by the fact her campaign has not released a detailed financial platform with her plan for residential property taxes or other city revenues, leaving her unable to answer most questions about how she will deliver on her promises. 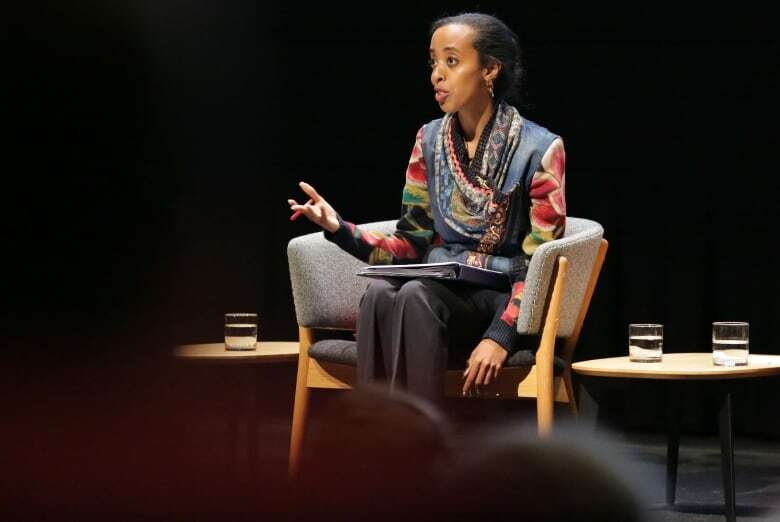 With Tory opening the door to their involvement, both Gebresellassi and Climenhaga seized the opportunities they were given on the debate stage. Climenhaga refused to adopt the standard political rhetoric, focusing on the issues rather than levelling attacks at her opponents. She didn't hedge or shy away from issues a lot of campaign strategies would suggest are contentious. Instead, she's pushing for more investment in programs while also acknowledging that would mean increasing taxes. Gebresellassi took a similar approach, while also offering something Keesmaat is not: a big bold idea. Gebresellassi's plan to eliminate TTC fares altogether – yes, free TTC! -- is fraught with obstacles. For example, TTC fares bring in about $1.2 billion per year, revenue which would need to be replaced if fares disappeared. And the city's transit system is so close to capacity that even if fares were free many people still wouldn't be able to rely on the service. But as a big idea in a mayoral campaign and as something a mayor could work towards, there's a lot to like about Gebresellassi's approach. It points to a transit-first vision that sets her apart from Tory. It makes it easy for voters to understand why her approach would be different than the status quo. As a candidate also running against the status quo, Keesmaat could stand to learn a thing or two from Gebresellassi. After the ArtsVote debate on Monday and the Global News debate on Tuesday, candidates were invited to meet again on Wednesday night in Scarborough for a debate on transit hosted by the TTC Riders group. John Tory declined to attend, opting to keep a previous commitment to attend a fundraising event. This is especially notable because transit is the policy area where Tory and Keesmaat have the biggest disagreements. Keesmaat has repeatedly called the mayor's SmartTrack plan a "mirage" and promised to withdraw city funding for the Scarborough subway, leaving the full bill for the project to the provincial government. She would then use the money to build a light rail transit network in Scarborough. These are significant issues with billions of dollars at stake, especially for those who ride the rocket east every day. The debate was a real opportunity to go to Scarborough and speak to transit riders about those issues. But the mayor wasn't there.